The Dred Scott Case, a legal case that would become influential in causing the Civil War, began in St. Louis in 1846 and, through many appeals, would not end until 1857. 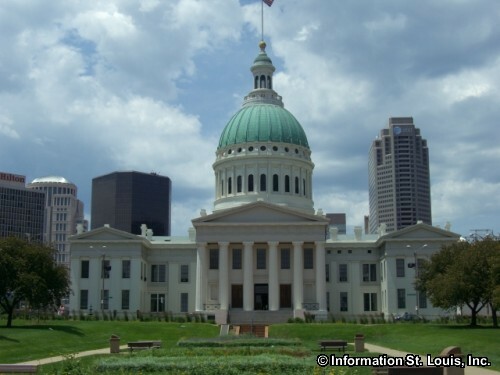 The slave Dred Scott and his wife Harriet Scott filed a suit for their freedom in the St. Louis Circuit Court located in what is now known as the Old Courthouse in Downtown St. Louis. The Missouri Statute - "One Free, Always Free"
A long standing Missouri statute stated that any person, black or white, held in wrongful enslavement could sue for freedom. Dred Scott's suit was routine and, like any of the hundreds of cases that had gone before, his suit should have gained he and his wife's freedom. Scott's evidence for his freedom was that he and his wife had been taken out of a slave state by their owner and into a free state and into a free territory and had lived there for long periods of time. Thus, per Missouri statue, slaves who were taken to such areas were freed, even if they returned to Missouri. "Once free, always free" was the judicial standard. One of the many lawyers who worked on the case was a prominent St. Louis attorney, Roswell Martin Field. He lived in the city of St. Louis, not far from the courthouse, in a townhouse in what was known as "Walsh's Row". Roswell Field was the father of Eugene Field who is known as the "children's poet". 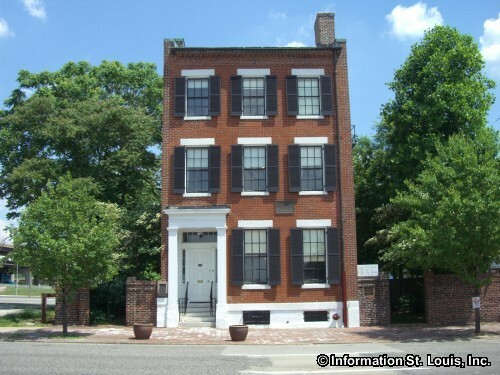 Their home is now the only townhouse left of "Walsh's Row" and is known as the Eugene Field House which features exhibits of the life of the Field family, articles from the Dred Scott Case, the St. Louis Toy Museum, an extensive book collection and other exhibits. Roswell Field got involved in the case in 1853 for the purpose of taking the case before the United States Supreme Court to obtain a final decision of the question "Did residence in a free state or territory permanently free a slave?" On March 6, 1857, the final decision of the then pro-slavery chief justices denied Dred and Harriett Scott their freedom. This decision not only shocked the anti-slavery population of the nation, but because of the decision's obvious bias, intensified the anti-South feelings, as well. Ultimately, the Scott family did gain their freedom when it became an embarrassment to their owner, Irene Emerson Chaffee, who was by then married to her second husband, Massachusetts congressman and an outspoken abolitionist, Dr. Calvin Chaffee. Mrs. Chaffee transferred ownership of them to Henry Taylor Blow of St. Louis. Mr Blow then emancipated them on May 26, 1957. Dred Scott died shortly there after in 1858 and is buried in Calvary Cemetery. Harriett Scott lived until 1876 and is buried in Greenwood Cemetery in North St. Louis County. Slavery was abolished in 1863 with Lincoln's Emancipation Proclamation, but at that time, only in the Southern slave-states that had joined the Confederacy. Freedom for the slaves in those states took place as the Union troops advanced and took control. In the Union slave states, such as Missouri, slaves were freed by each individual state or eventually by the 13th Amendment to the US Constitution. Slavery in Missouri was not abolished until Missouri Governor Thomas C. Fletcher's emancipation proclamation was approved by the pro-Union Missouri Constitutional Convention on July 6, 1864. It took effect on Saturday, January 14, 1865. The Thirteenth Amendment to the US Constitution became law in December 1865 and banned slavery in all US States and territories.